Obituary for Danielle Wallace-Bauer | Devlin-Rosmos-Kepp F.H. 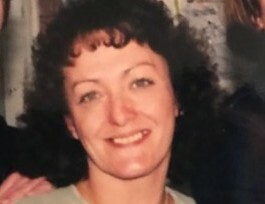 & C. S.
Danielle T. Wallace-Bauer, 53, of Jim Thorpe, formerly of Phoenixville, PA passed away suddenly on Monday, November 5, 2018 at her home. She was the wife of the late Richard J. Bauer. She was born on July 27, 1965 to the late Joseph W. and Mildred (Luft) Wallace. She attended Phoenixville High School and then went on to nursing school. She worked as a clerical coordinator in the Pathology Lab at St. Luke's Hospital in Bethlehem. She was preceded in death by a sister, Lori Wallace. Relatives and friends are invited to attend her Memorial Service at the Devlin Rosmos Kepp & Gatcha Funeral Home & Cremation Services, 517 S. Main Street, Phoenixville, PA on Sunday, November 11, 2018 at 2:00 pm. Friends may call the funeral home on Sunday from 1:00 to 2:00 pm. In lieu of flowers, contributions may be given to the funeral home to help Danielle's family with funeral costs.